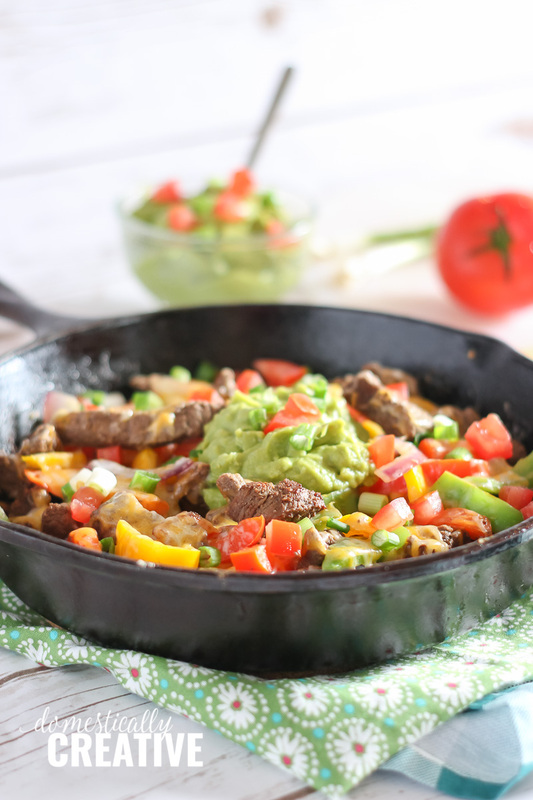 Enjoy the flavor of your favorite fajitas without the high carb count with this amazingly easy to make Low Carb Steak Fajita Skillet. 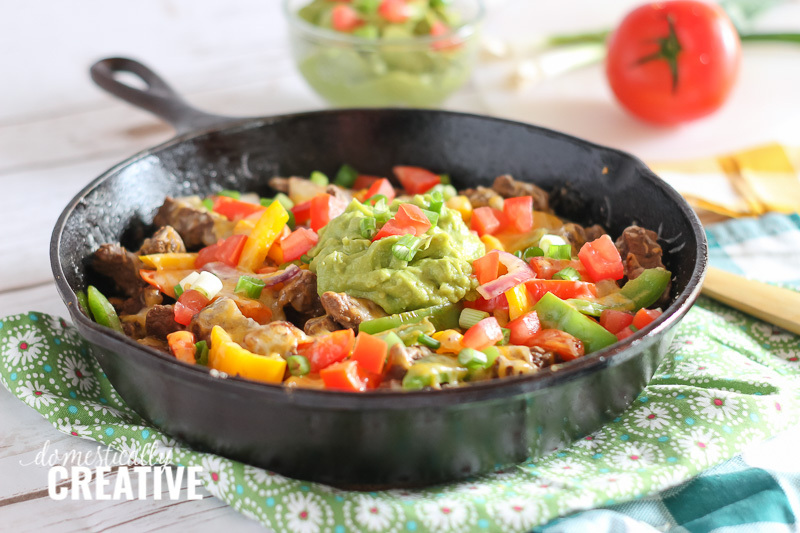 I’m all about easy dinner ideas, and this low carb steak fajita skillet is exactly that! We recently purchased 1/4 of a cow and I am loving all of the tender cuts of meat. Generally speaking, I don’t purchase a lot of beef other than roasts and ground beef. On occasion I will purchase steaks if they are on sale, but it’s very rare I buy other cuts of beef. With our 1/4 cow, I’ve started cooking our meals with different cuts like round steak and skirt steak. So instead of making chicken fajitas, we’ve graduated to steak fajitas and no one is complaining. 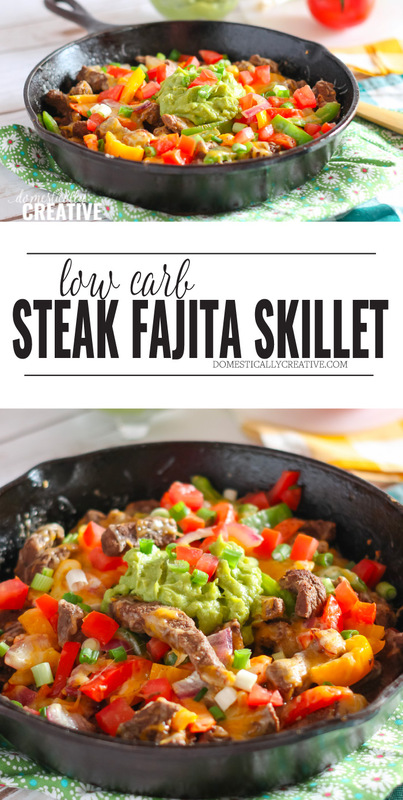 Making this low carb skillet is so easy and takes only about 30 minutes, including prepping the steak and veggies! Cast iron is key! I find that I’ve gotten the best results and the most flavorful steak when using my trusty Lodge Cast Iron Skillet. While my stainless steel works OK, I can get a higher heat to sear the steak in the cast iron. Getting a good crust on the meat before turning the heat lower will give you a more tender steak result and more flavor. Choose a good cut of beef for the most tender steak fajita pieces. Using a skirt steak and slicing it against the grain into thin strips works best (I’ve found). I’m not an expert when it comes to cuts of meat, but have found that I like this method best. Don’t over cook the veggies. Sure it might sound like a no brainer, but over cooking the peppers and onions doesn’t do this dish any favors. Cook them just until they start to get tender, then remove them from the pan before adding the steak. Once the steak has finished cooking, add the veggies back in just long enough to finish cooking while you add the cheese and melt it over top. 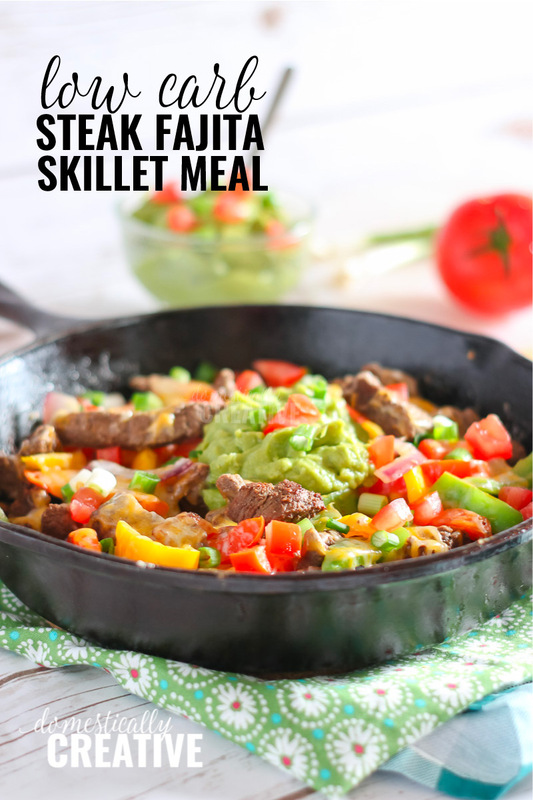 We prefer to eat our steak fajita skillet meal over cauliflower rice that has been seasoned with fajita or homemade taco seasoning. 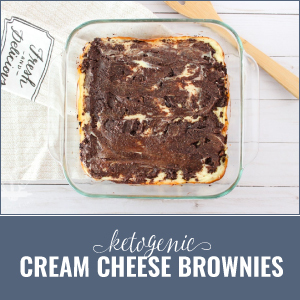 It’s filling, flavorful and delish! 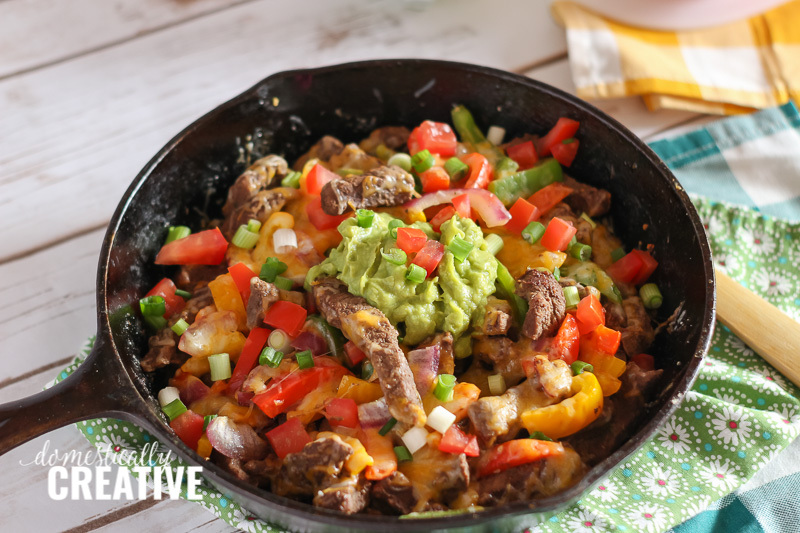 You could also eat this dish as traditional steak fajitas on a low carb tortilla, or with low carb tortilla chips. 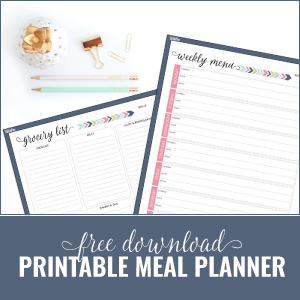 We prefer to eat ours over Cauliflower Rice or on a bed of lettuce for a yummy fajita salad! 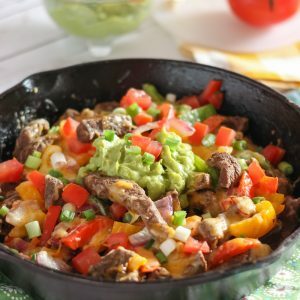 Topping the steak fajita skillet with Homemade Salsa, guacamole and/or sour cream adds some extra fat and flavor do the dish too! If you need a little crunch, try making some homemade low carb tortilla chips, or use pork rinds to scoop up the steak fajitas. Remove veggies from skillet, place on a plate and set aside. Melt remaining tbsp butter in cast iron skillet. Add in seasoned steak and cook on high, to sear the steak on both sides. Turn down heat to medium-low and continue cooking steak until no longer pink. Stir in steak fajita veggies and cook for another minute. 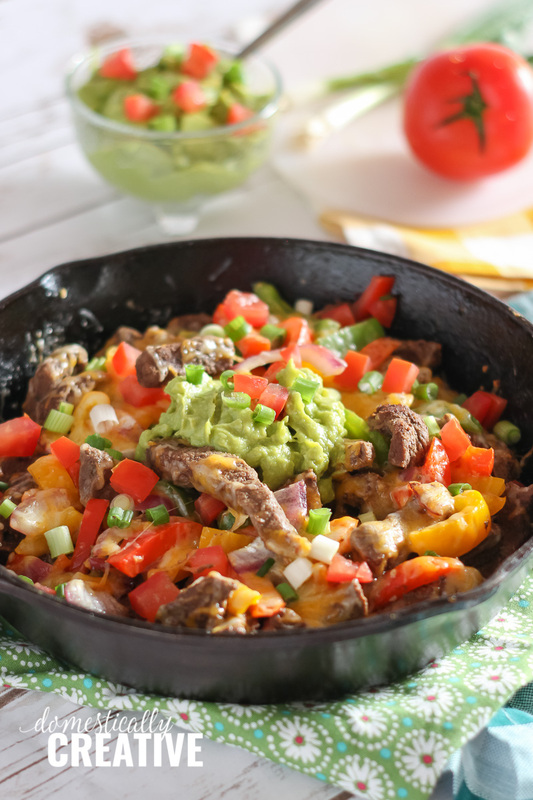 Remove low carb steak fajita skillet from heat and top with shredded cheese. Place lid over skillet and let stand for about 5 minutes, allowing cheese to melt.